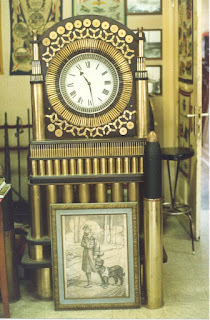 One of the most popular World War I collectible is Trench Art. 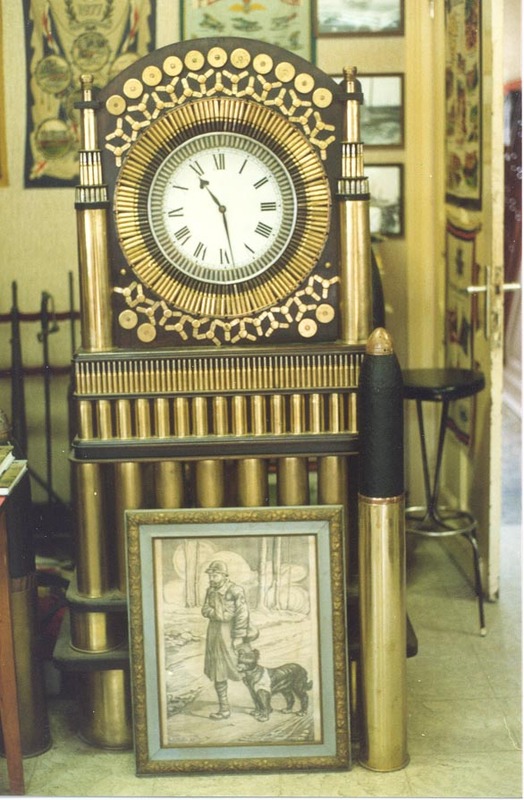 The term encompasses objects made from the debris and by-products of the war. 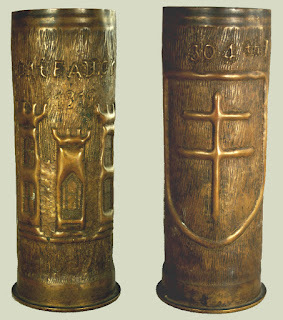 Decorated brass shell cases, being available by the millions on the Western Front, are the most recognizable. 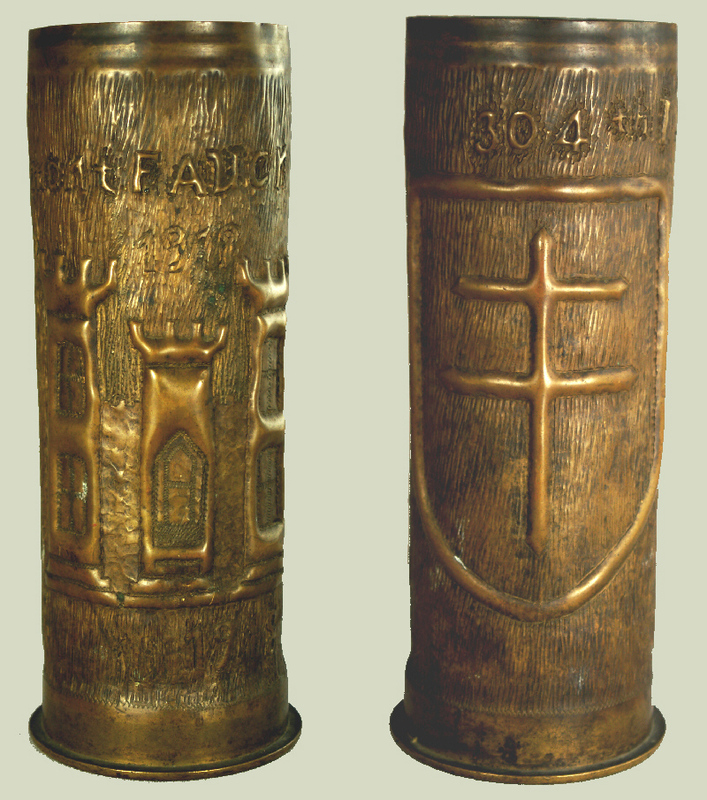 Above are two images of a German 77mm shell casing turned into a memento of the battle for Montfaucon. One side has been inscribed with "Montfaucon 1918" and the Corps of Engineers castle insignia in relief on an embossed background. The reverse is decorated with "304th E." [Engineer Regiment] and the badge of its parent formation, the 79th Division (a Cross of Lorraine within a shield) on an embossed background.